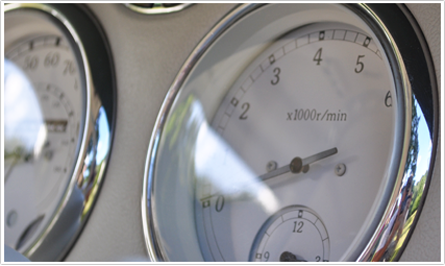 Welcome to our Nissan Figaro Repairs & Maintenance Page. We can offer extensive works given our lengthy experience with the Figaro. We have been importing & refurbishing Figaro's for sometime and are now in a position to be able to offer our specialist services to everyone. We can also offer a recovery and repair service for your Figaro including bodywork and insurance claim work. Listed to the right is a selection of works we can complete for you but we are always available on the phone and via email with friendly advice and quotes if you need. All our Nissan Figaro's are fully prepared before going to their new owner. As each Figaro is different depending on it's mileage and condition each car is assessed before any refurbishment begins. Every Figaro begins it's journey by having its interior stripped out completely, the interior panels are thoroughly cleaned, the carpets & mats scrubbed, the dash, hood and all aspect of the car are valeted to the highest standard. Each car regardless of it's mileage undergoes a full service, which includes replacement of the Cam Belt and Water Pump. It is also at this stage that areas such as brakes, tyres, shock absorbers and the rocker shaft securing fastening's are all thoroughly inspected and replaced with new if found to be excessively worn or defective. 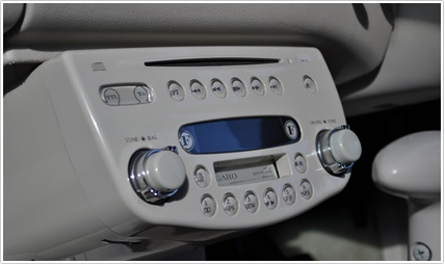 All of our Figaro's come with their original retro CD/Radio all of which are sympathetically updated by Clarion (the original manufacturer) in addition to this we also fit a brand new pair of high quality door speakers to every Figaro. This radio is warranted through Clarion UK and they provide excellent customer support in the unlikely event that you have any problems. Further stereo upgrades are available to enable the use of Ipod's, Bluetooth/Hands Free kits & further speaker upgrades for those really into their music systems. The whole body of the car is also thoroughly wax oiled (rust proofed) to help to protect the car from the salt and water found on our British roads. As mentioned previously we waxoyl the inside of the car's panels when the car is stripped out at the same time we waxoyl underneath the vehicle, inside all the wheel arches and within the chrome bumpers. The Nissan Figaro was built in 1991, a limited production run of only 20,000 were built for the Japanese market. So now eighteen years later the wonderfully unique Figaro has become a very sought after little car. All Figaros are right hand drive and were built with a 76BHP 1.0 Litre Turbo Charged Engine linked to a 3 Speed Automatic Gearbox. All came with a full ivory leather interior with body colour matching seat piping, carpets and dash tops. The Figaro also has a convertible top with a lovely off white vinyl roof with a solid glass back window which neatly folds away into the top boot section of the car. The Figaro also had a lower boot for storage of the spare wheel, jack & tool kit. If the hood is damaged it is replaced and the back panel is replaced at the same time, fortunately most of our vehicles keep their original hoods as none of the after market replacements can really beat the lovely original Figaro hoods with their soft easy to clean off-white vinyl. We carefully remove the entire interior of each Figaro and thoroughly clean the carpet, interior panels & seats, while the car is completely stripped we take the opportunity to clean the dash, roof seals and waxoyl (rustproof)the inner panels of the vehicle which cannot be reached with the interior still in place. Whilst the interior plastic panels are out we strip and re-coat any that may be damaged. The leather seats are conditioned using only the finest Conolly products, in the event that there is any damage to the seats the panel concerned will be replaced with the correct leather. We are able to offer insurance approved Thatcham Category 1 Alarm, Immobiliser & Central Locking Kits at an extra charge, these are fitted on our premises by a professional specialist installer. They also all come with power steering, electric windows, air conditioning and specially designed Clarion Figaro Stereo's with a CD Player. There were four colours available Lapis Grey, Topaz Mist (beige), Pale Aqua Blue and Emerald Green. We aim to keep a good stock of all these original colours at all times so you can view them all on our Figaro Stock page.